Any great music scene has one record that captures its early essence and announces it to the world. Flying Nun Records' Dunedin Double EP is that kind of record. It put Flying Nun on the map, literally. That it was out of print for 17 years only adds to the mystique. It's a record that embodies a great deal of Flying Nun mythology. It was made on the famous TEAC 4-track, under the talismanic watch of its owner, Chris Knox – not in a studio but in someone's house. It's a 12" EP, the format that virtually defined the label in the early 80s. But a double EP? Who does that? One side of the story begins in Dunedin's Regent Theatre, overlooking the Octagon. 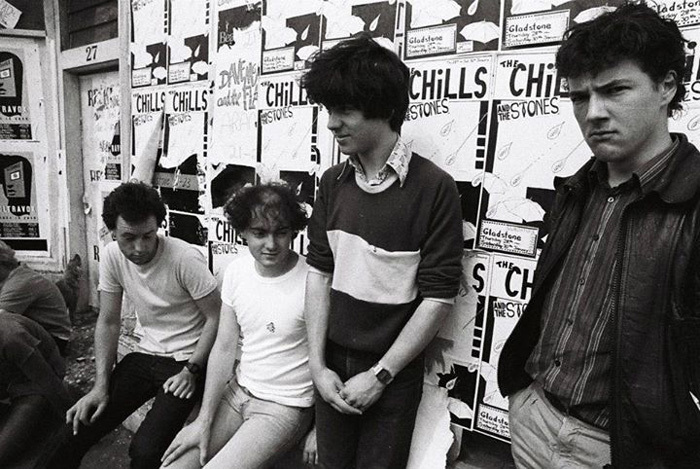 Four bands formed by kids not long out of school had space there: The Chills (originally called The Same), The Verlaines, Sneaky Feelings and The Stones. The other is in Auckland, where Chris Knox, the former singer of proto-Dunedinites Toy Love settled after that band's disappointing, even traumatic, venture into the Australian music business, determined to never do such a thing again. 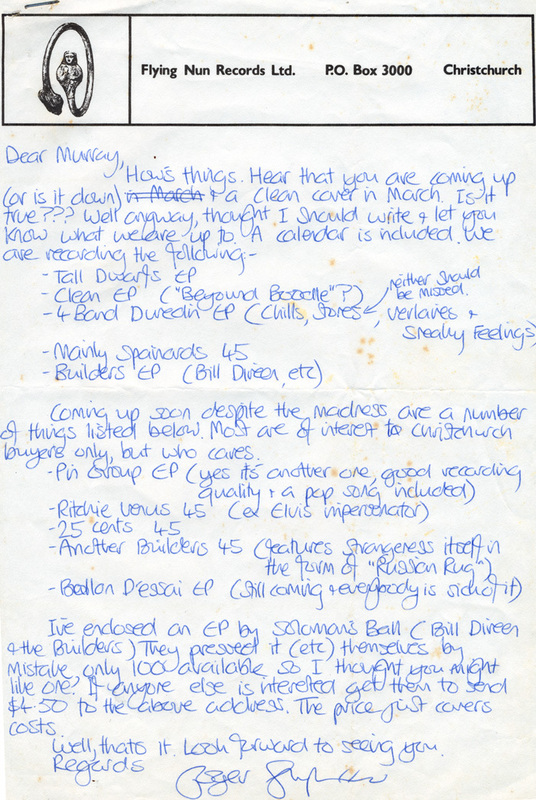 A later Nun flyer drawn by Knox invites readers to "discover REAL GOOD New Zealand (NO, repeat, NO relation to Australia – diametrically opposed, in fact) music". 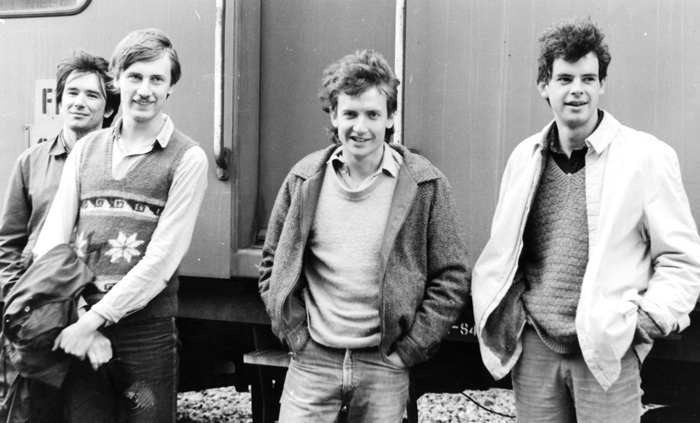 Knox and soundman Doug Hood had already recorded The Clean's Boodle Boodle Boodle on the 4-track, and it was via The Clean that their friend Roger Shepherd, who had established Flying Nun, met The Chills when they were all in Auckland. 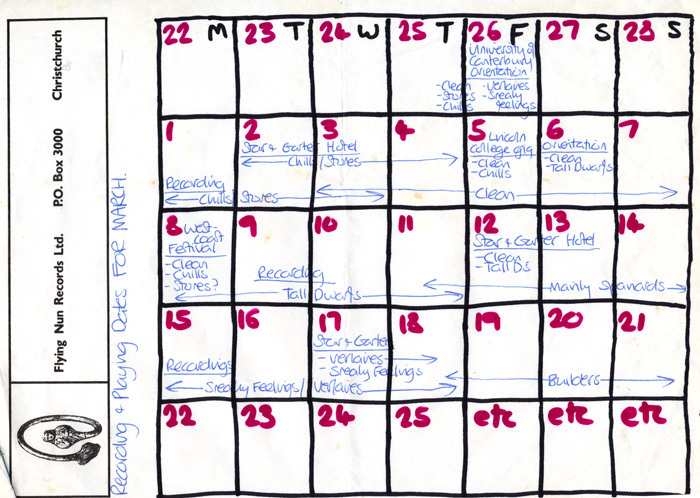 From there, a plan was made to record the four Regent Theatre bands, who all trekked up to Christchurch in two shifts in March 1982 – The Chills with the Stones, then The Verlaines with Sneaky Feelings – booking gigs in town to cover their costs. 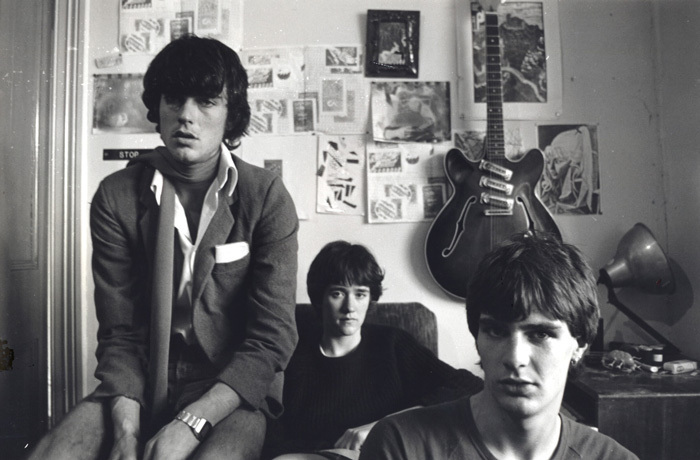 Paul Kean, the former Toy Love bassist, gave over the use of his big, suburban house (rented from his parents) for the first recording session, while the second was done at Androidss' soundman Rex Visible’s place a couple of weeks later. 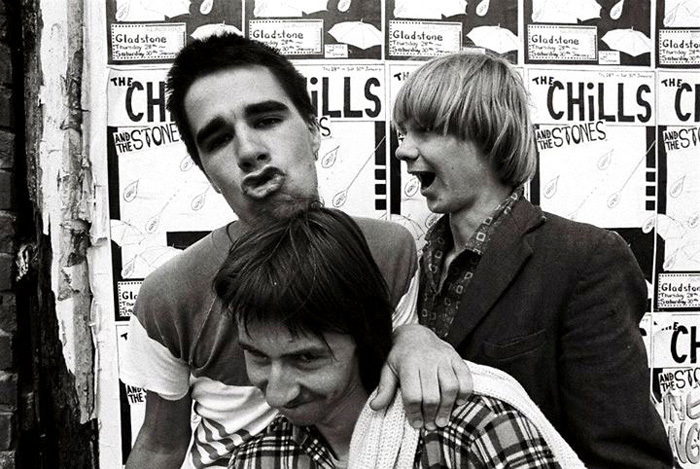 "We had no idea what we were doing," Chills drummer Alan Haig recalled for the bNet radio documentary series Extended Play. "We went in quite innocent." By Hood's account, Knox's role as producer was consciously limited. "Chris's role was generally more geeing people along, critiquing the playbacks, telling people when they were out of tune. The bands were left to themselves on song structure," Hood told Extended Play. Reasonable people may differ on this is, but of the four sides recorded and released (nothing was left on the studio floor), this writer thinks it is those by The Stones and The Verlaines that stand up best. The former because of its joyous, insolent punk rock sensibility – no matter what they do, there's simply not much than can go wrong (and it's not like they didn't try anything – the odd strumming noise in 'Down and Around' is the sound of them whacking the strings of an open piano). 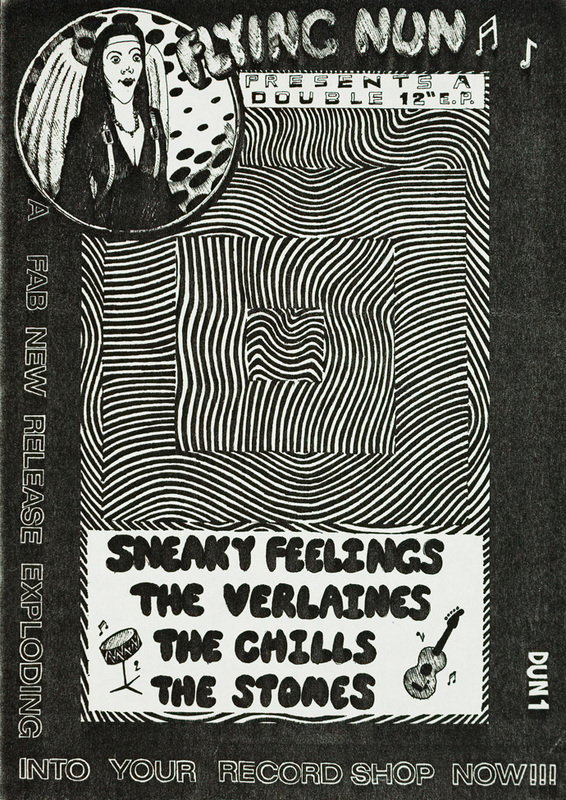 And the latter because it's almost shocking how fully present The Verlaines' music is in their first attempt at recording. "This was the side," Knox observed, "that made the more rarified reviewers actually take the thing seriously. It was, and is, impossible to ignore the craft and intelligence involved." The other two bands had a more mixed experience. Phillipps had chosen three older songs written with The Same – 'Kaleidoscope World', 'Satin Doll' and 'Frantic Drift' – to clear the decks for future recording projects. But, he told Extended Play, the band indulged in too much inexpert studio craft and lost the energy with which the songs were meant to be played. And yet, track one, 'Kaleidoscope World', is pretty much a Chills manifesto. 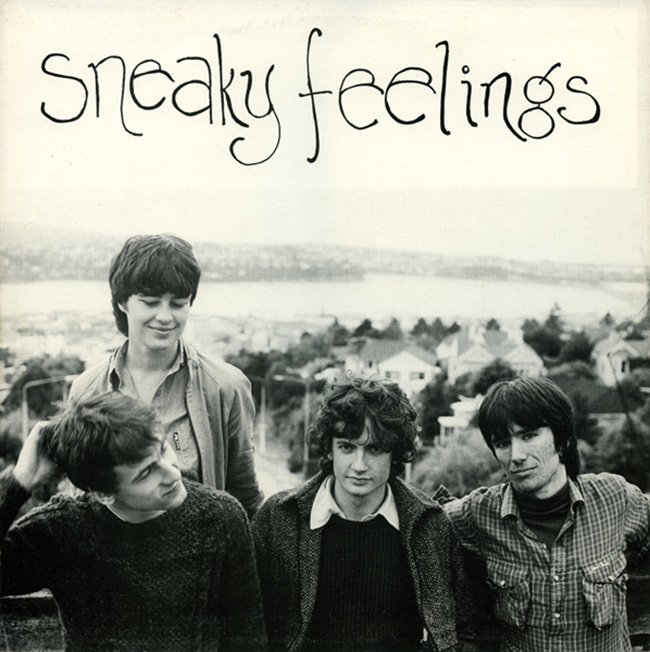 By the account of Matthew Bannister in his classic book Positively George Street, Sneaky Feelings struggled with tensions both with each other and (tick off another key element of the Flying Nun mythology) with their fellow bands. By his account, "everyone in the control room hated" Martin Durrant's poppy 'There's a Chance' and The Clean's David Kilgour actually refused to play the tambourine deemed necessary for the overdubs. (In the event, it was played by bassist Kathryn Tyrie, under a blanket so it wouldn't drown out the vocals.) Further indignities were permitted by Bannister's fellow guitarist, David Pine, who allowed a subsequent mix of Bannister's 'Backroom' where there was "no bass" in the mix. Again, the judgement may be too harsh (there is in fact a discernable bassline), but it's true that Pine's 'Pity's Sake', presaging the sound of the band's timeless Send You album, is the standout from the side. 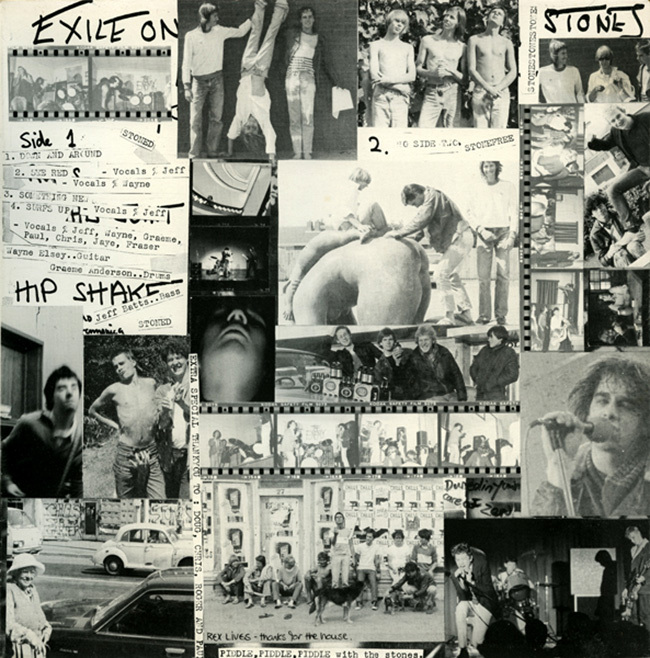 The EP's sleeve was originally conceived with democratic intent, as a gatefold that could be folded either way, so either The Chills or The Stones would be on the "front", but the manufacturer didn't get the memo, so The Chills shipped as the "A" side. The bands themselves were invited to create their own sleeves (another Nun trope) and the results were fitting and revealing. 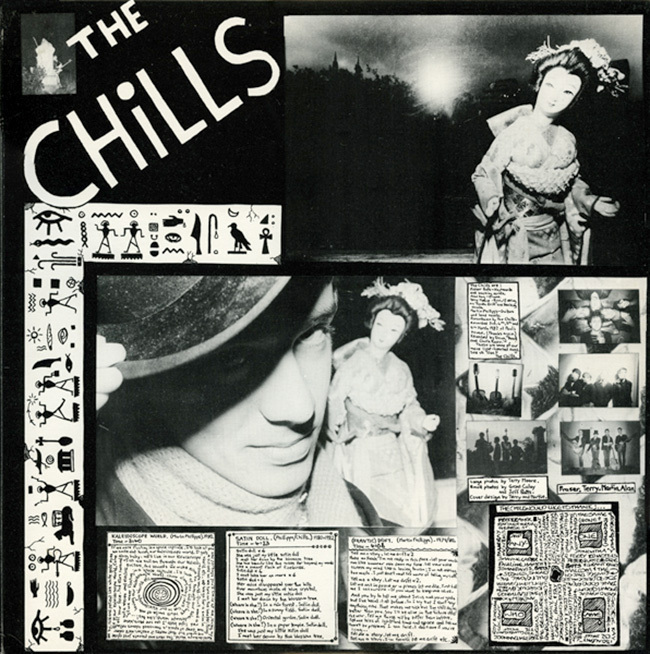 The Chills' was a collage of murky band images, mysterious pictures and hieroglyphics; the Stones' an unruly mash-up with the aesthetic poise of a student flat the morning after a party; and the Verlaines' featured a picture of Paul Verlaine (whose surname the band had appropriated) superimposed on the lyrics of 'Crisis After Crisis' and the score of 'You Cheat Yourself of Everything That Moves'. Only Sneaky Feelings went for a nice picture of the band. 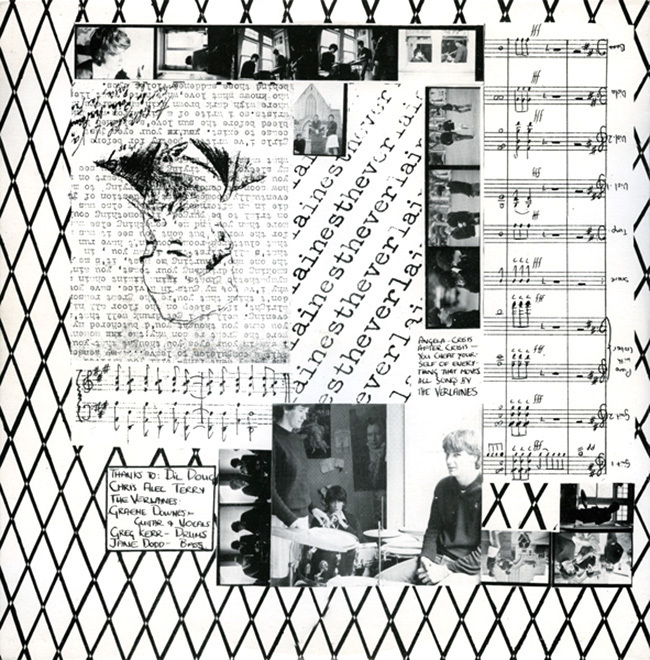 The record was released in June 1982, with a promptness that would have been the dream of Flying Nun bands in later years. No reviewer seemed to like everything on it. Its sales were logged in the no-man's-land of the compilations chart. But for the people who bought and heard it – and could see these new groups playing live in the main centres – it was a signal that something was up. This unusual record is not where – and we've got all the way to the end without using the dread phrase – the "Dunedin Sound" began, but it is when it arrived. And now that it has been re-released by a reenergised Flying Nun, some far-flung dots have been joined.